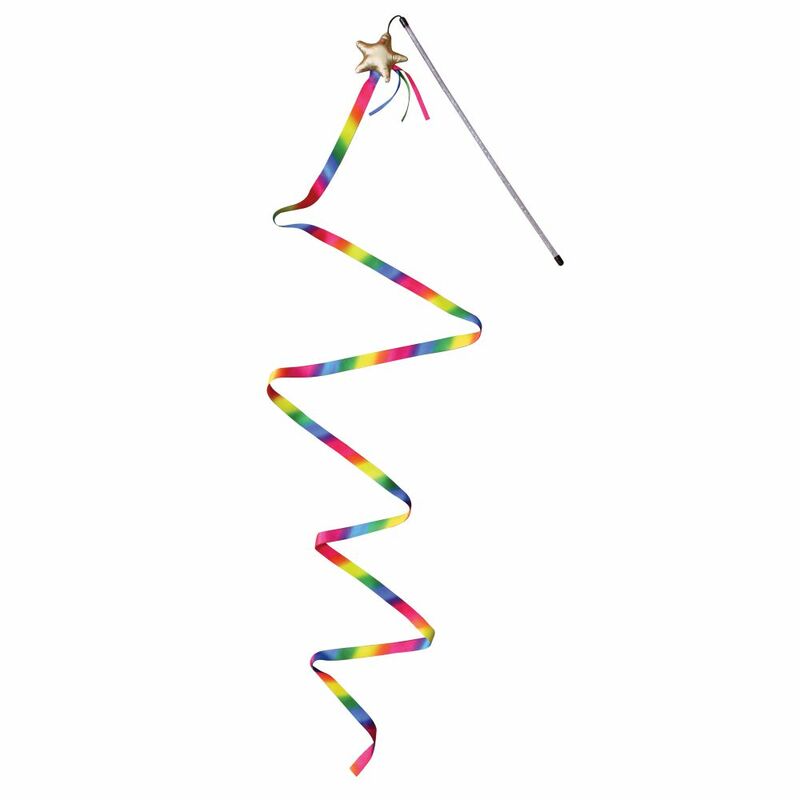 Lure your cat into extended kitty playtime with eight feet of twirling, swirling ribbon that spirals and floats irresistibly to the ground. 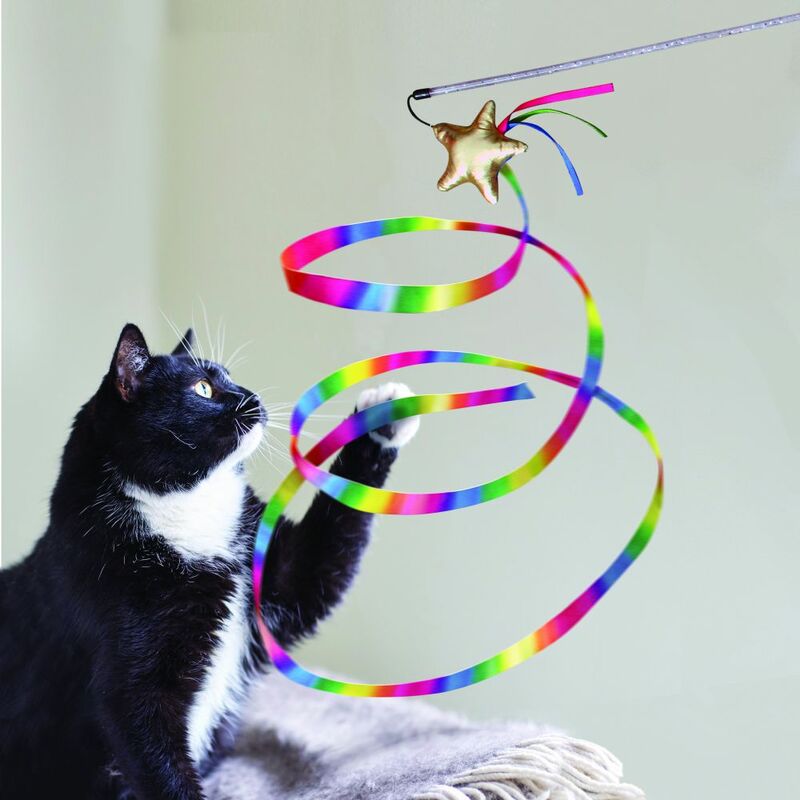 Engaging a kitty’s natural instincts for chasing and pouncing the unpredictable movement of the ribbon is great for interactive play. 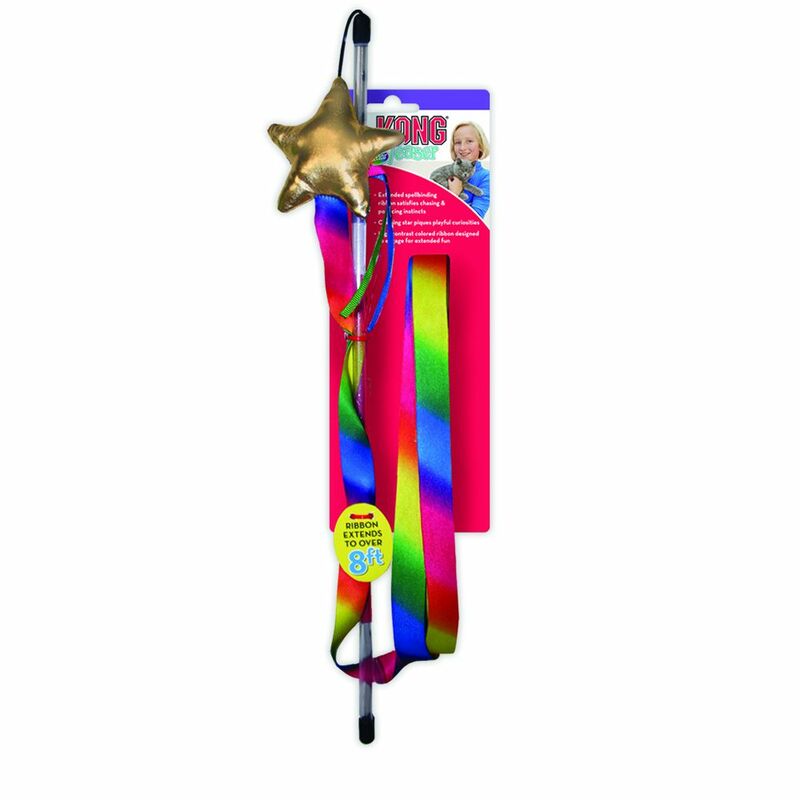 The chirping star and mesmerizing rainbow ribbon combine for a perfect eclipse of kitty entertainment that encourages extended exercise and bonding time between you and your kitty star.